Artworks by Giovan Francesco Gonzaga. Online sales. 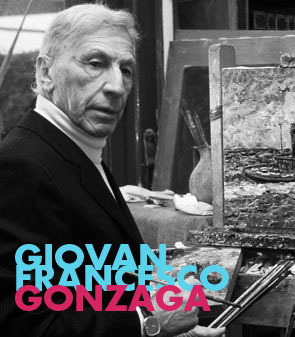 Giovan Francesco Gonzaga was born in Milano on 1921. He descends by the Gonzaga, a noble family of Mantova. When he was a child he began to draw and paint but his family did not approve. He loves horse- riding and his passion for the horses and the jockeys increased during the Russian Forwarding, which is a traumatic experience for him. After the second World War he began to address full time to art. In his artworks there are many horses, riders and the other typical subjects of the artist like the portraits and still life.